BEIJING – China intends to significantly deepen and expand the reforms to the socio-economic system in the country, and these changes will be reflected as improvements and updates to the national tax system. The leadership of China is set to “…actively and steadily push forward the breadth and depth of market-oriented reforms” in the country, while “…vigorously develop[ing] a mixed-ownership economy”, and will “… handle the relationship between government and the market”, in line with the overreaching plan of reform for the next 10 years formalized by the recently held Third Plenum of the 18th Central Committee of the Communist Party of China. The results of the work of the plenum were released as Decision on Major Issues Concerning Comprehensively Deepening Reforms, a document which is already come to be labelled by some international media as the “reform manifesto” and “reform 2.0”. 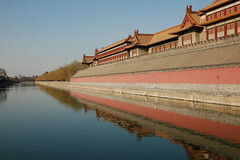 The main task of the reforms is to facilitate a stable financial system in China over the long-term, and the leadership of the Communist Party underlined that in order to achieve this goal, great attention will be paid to “improve related legislation”, allowing the country to have a single legislative regime for the introduction, approval and administration of tax regulations. The importance of the this task has already been underlined by some international taxation experts, who have pointed out that among the 18 categories of taxes collected in China, only 3 have been fully outlined and detailed in the national legislation, while the remaining 15 are still subject to ministerial and administrative introduction and approval. Experts have noted that the reforms will allow China to follow a radically new approach towards the formation and the distribution of the national budget, and will also provide a clear separation between the administrative functions local and national tax authorities.